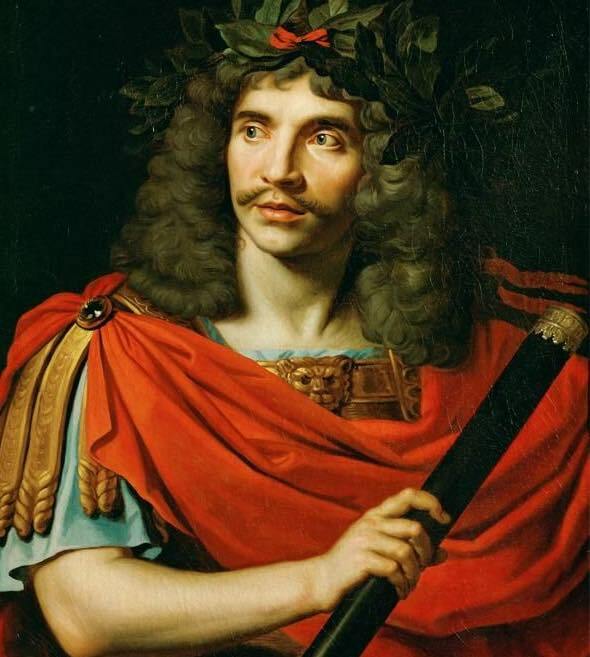 Portrait of Molière by Nicolas Mignard (1658). Molière’s comedy Tartuffe is probably the most famous – and infamous – play in the French repertoire. First staged as a three-act piece at Versailles in 1664 in front of Louis XIV, with the title Tartuffe or the Hypocrite, its withering satire of religious devotion created a scandal that forced the king to prohibit further performances. It was only after a second five-act version (renamed The Impostor) was banned in 1667 that the final five-act version, Tartuffe or the Impostor, was performed in 1669 and subsequently published. No trace of the first two versions remains, but their content has long been the subject of much speculation. Georges Forestier, professor at the Sorbonne and editor of Molière’s complete plays in the prestigious Pléiade collection, is uniquely qualified to give an appropriately scholarly reassessment of the different forms of the play, and his reconstruction of the 1664 version, which so outraged the religious faction in the French court, is to be taken very seriously. The first draft of the play is now thought to have consisted mainly of the present Acts I, III and IV, culminating in Tartuffe simply disappearing from the stage after his duplicity is discovered. The original Tartuffe was evidently portrayed as a spiritual director (and therefore an insider in the Church) who attempts to seduce Elmire, the wife of the pious Orgon, who is under Tartuffe’s spiritual guidance. Molière’s later decision to make him a fraud who comes from the outside to infiltrate Orgon’s family shows the dramatist’s attempt to circumvent the anger of the religious authorities. The other main difference from the later versions is that the two young lovers, Mariane (Orgon’s daughter) and Valère, do not appear here. It was a delight to be able to watch a performance of this reimagined first version by a group of Forestier’s present and former students at the Museum of Art and History in Meudon, a town in the southwestern suburbs of Paris, and well worth a visit on its own terms (more on that later). The choice of the museum as the setting for the production is not entirely coincidental, as the house in which the museum is now located was bought in 1676 by Molière’s widow, Armande Béjart, who played the original Elmire. This production is described by Forestier as being “historically informed,” in that acting styles and original pronunciation have been studied and imitated. This follows the tradition over the last few decades, started by the theater (and now film) director Eugène Green, of trying to reproduce performance practices of the 17th century. The most successful example of this was Vincent Dumestre’s scintillating and hilarious production of Molière’s Bourgeois Gentilhomme, available on DVD. Inevitably, the “authenticity” of this production of Tartuffe is compromised by the fact that director Isabelle Grellet and Forestier had a limited pool of male student actors from which to choose. As a result, many of the male roles are played here by women. For the two performances staged in Meudon, there were two different casts, presumably in order to allow as many students as possible the chance to perform. Perhaps it would have been wiser to pick the best actors (and to have the main male roles played by men), as the quality of the acting was variable. Also, perhaps the most interesting “historically accurate” fact of the casting is that Orgon’s mother, Mme. Pernelle (who very neatly begins and ends this version of the play), was originally played by a man; it was disappointing not to see this practice reproduced. Nevertheless, all the actors and musicians (who performed music by Lully from the 1664 festival during which Tartuffe was first performed) are to be congratulated on an exciting and groundbreaking venture. It will be fascinating to see if professional theater companies decide in future to perform Forestier’s reconstruction. It certainly merits further viewing. If you decide to take the short RER C ride out to Meudon, the Parc de l’Observatoire, just above the museum, with its breathtaking views of the distant city of Paris and domed Observatory, is well worth a visit, followed by a walk in the surrounding forest. Or pay a visit to the Rodin Museum, where visitors can see the Villa des Brillants, the house where the sculptor spent the last years of his life, his atelier and the large park overlooking the Seine.